Available Color Red, Brown, Black etc. 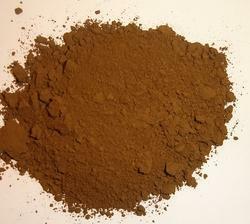 We are the manufacturer of Natural Pigment Powder. Our quality experts test these on a number of parameters to ensure their premium quality. These are hygienically processed at our end and are of premium quality. We offer them in a variety of colors as per the requirements of clients. Moreover, these pigments are tested against several parameters to ensure its flawlessness and available at pocket friendly rates. Available Color Red, Yellow, White, Green etc. 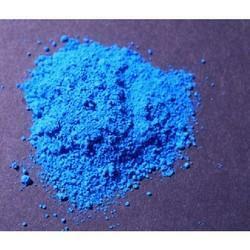 We are providing an array of Inorganic Pigment Powder that is used in wide range of applications. It is used in manufacturing of Air drying enamel Paint, Road Marking Paints, Primers, Epoxy paints, Industrial Paints, Abrasives, Coloured Mosaic Tiles & Pavers, Construction Chemicals, Lac Bangles, Artist & Poster colours, Coloured Chalks & Crayons, Paper Coatings, Pigmented FRP Pastes, PVC leather cloth (Rexin). It is also used in the production of Paste Inks like offset inks, screen printing inks, and liquid inks. 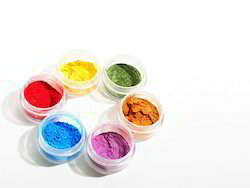 Pigment Powders are used for the coloring of EVA, PVC, LDPE, HDPE, and PP. 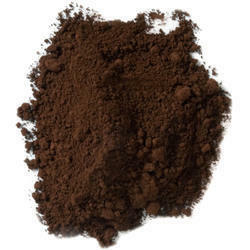 Inorganic Pigment Powders are used in the manufacturing of PVC master batches & Plastics masterbatches. All the colors have good fastness properties with deep & brilliant shades. Available Color Pink, Red etc. 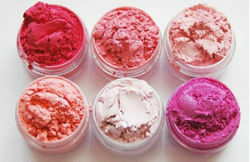 We are a company which is engaged in the manufacturing and the exporting of a wide range of products such as the Cosmetic Pigment Powder which is high on demand in the market and they have been made using the best technology available in the market and they have been made using a high quality of raw materials and they have been priced at very reasonable rates in the market and they offer a high performance to the customers. 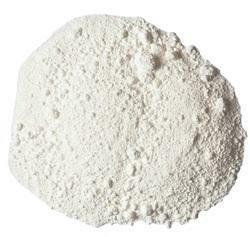 We are offering hygienically prepared and packed Dry Pigment Powder. Widely recognized for their precise composition and high resistance to heat, sulfur and harsh environmental conditions, these pigments are vastly popular in paint and plastic industry. The offered chrome pigments are tested for their quality, before the final dispatch. Available Color Red, Yellow, Pink, Orange, Chocolate Brown, Green, Blue etc. Food Grade Pigment Powder is a substance added to food or drink to change its color. Food coloring is used both in commercial food production and in domestic cooking. Due to its safety and general availability, it is used in a variety of non-food applications for example in home craft projects and in education. We provide the finest quality of Pigment Powder.The inputs utilized in their developing procedure are of supreme quality and these are tested rigorously before getting utilization in the procedure. Along with this, these can be taken from us at industry leading rates. We are one of the foremost manufacturers and suppliers of Textile Pigment Powder, which can be availed in variety of grades. It is safe to use and is specifically formulated using excellent quality ingredients. Moreover, we offer facility for customization to provide a total color solution as per the business requirements of the clients.